Hi everyone. 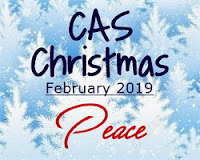 I have another Peace card to add to this month's CAS Christmas Challenge, hosted by Colleen. This was a quick card to make, using an old piece of watercolouring from my stash. Over a year ago I tried watercolouring on Yupo paper with Brushos. I had read that Yupo does take watercolours, but I didn't have a lot of luck. The piece is pretty, but it took days to dry. And even now, if you touch it, the colour rubs off. So rather than throw it away, I layered it with acetate and a die-cut winter scene (NBUS) from AliExpress. The acetate layer protects the watercoloured yupo so that none of the colour will come off. 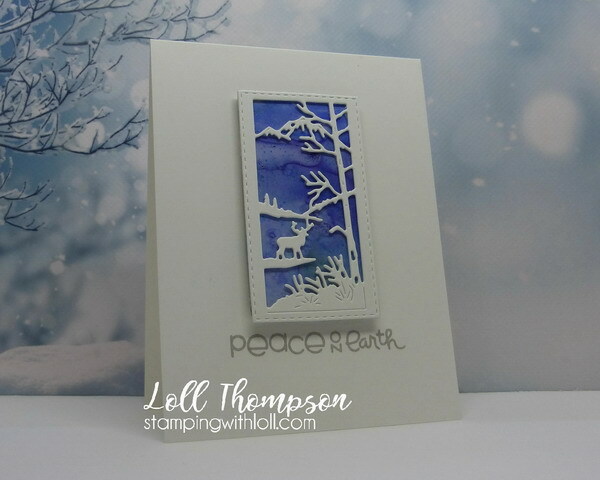 I finished the card with a simple stamped sentiment in Silver Delicata ink. Easy, CAS design card. What a great way to save the pretty brusho background with the acetate layer. Fabulous die cut and the font on the sentiment looks so contemporary. Beautiful CAS Christmas card x.
its so dreadful expensive I don’t want to wreck it come to the fore.. but guess won’t use Brushos eh! I love all the details in this EF and your play of paint in your watercolor background fits in perfectly! Great idea to add acetate to keep the paint from rubbing off. Great idea to put the acetate on the top of the watercoloured Yupo! 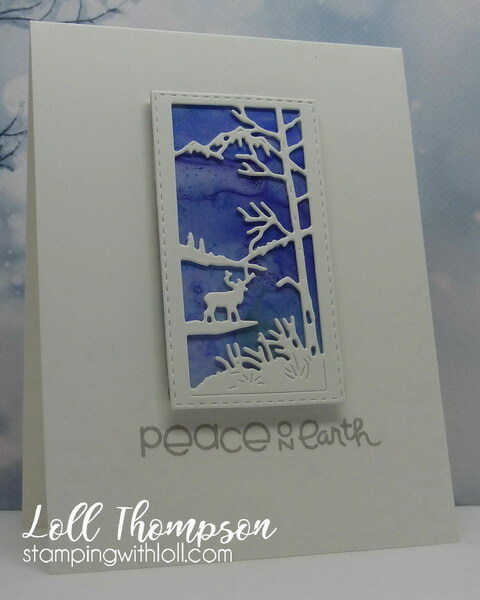 The bright blue is glorious and perfect with that wonderful little die cut. That is a great way to save a lovely background. The die is really a great one with the deer on the pond. I love how you did the frame popped up. Such a gorgeous lovely scene! Love the beautiful blue and all the white! Stunning card, Loll!! What a great idea to save that panel, Loll. Mine would have been in the recycle bin. It made a beautiful background for the silhouetted scene. Gorgeous background for that diecut scene, Loll - great idea to cover it with acetate!! so gorgeous Loll, love the look.